Reality TV show - Your chance to be a star! Each year the Easter Bunny brings you chocolate candy, peeps and jelly beans. I guess that's okay, but the Dude can do the Easter Bunny one better! 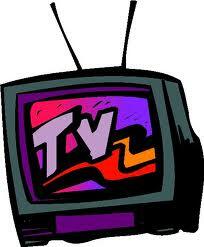 How would you like to be on television and be the next big reality TV star? Over the years you've watched plenty of folks just like us become television stars overnight...now it's your turn! Recently I was contacted by a major television production company requesting I publicize a casting call for their television reality show. They're looking for people who live an "extremely" frugal lifestyle. I think there might be a few of us who proudly meet that criteria around here. The loyal followers of "MoneyintheGarage" are wisely frugal! Why else would we get up early every Saturday morning and trudge around garage sales to look for deals? Good luck and have a Happy Easter, Passover and Spring to all ! I work in casting at a major NYC television production company. We’re casting a series on a major television network that follows families, couples or individuals who live well on very little. Below is a casting notice for your review, and to post on your blog or forward to interested parties. If interested please contact me at secondseasoncasting@gmail.com. Do you have a family member or friend who knows how to stretch their dollar to its absolute breaking point? Does the idea of spending money on anything other than what is ABSOLUTELY necessary make them sick to their stomach? Do they love showing off how very little they spend? Then we want to meet them! TLC is currently casting for a second season of a hit show and is seeking families, couples or individuals who live well on very, VERY little. In this day and age, many people want to save more and spend less. But for them, saving every penny possible borders on OBSESSION! And tell us a little about their lifestyle and why you think they made the decision to live this way. Please give specific examples and please include photos of them. Oh the humiliation...oh wait. Ok, I am over it! Not long ago, I had a slightly humiliating experience buying a huge lot of vintage Barbie dolls. While the transaction was awkward for me, I got over it pretty quickly after I sold this awesome find on eBay. On this particular Saturday morning, I pulled up to a garage sale where the entire family was up early and participating. Mom, dad and three daughters...all were in the driveway chatting it up loudly, eating their morning bagels and drinking coffee. I don't know about you, but I hate these three-ring family circus type yard sales. Everyone is being very loud and carrying on... it always makes me feel like I am interrupting an early morning family reunion! But despite all the distractions going in the driveway, I quickly spotted a nice big lot of vintage Barbie clothes and dolls. The dolls and clothes were all separated into smaller lots of three outfits per bag for three dollars each. The dolls were marked at only five dollars a piece. They even made up a sign outlining the price of each baggie. At the bottom the sign read, "$35 for all". I was able to interrupt the chatter between mom and her daughters long enough to ask about the age of the dolls. The mom told me they were her Barbies and were from the early Seventies. That was good enough for me...a sale was imminent! The daughter's all gave me a strange look, wondering why some middle aged guy would want Barbie dolls? Throwing out my usual diversionary line, I volunteered that my wife collected Barbies. The daughter's all nodded in agreement, their evaluation of me seemingly changing from "weirdo" to "nice-guy husband" in just a matter of seconds! Now that I had mom and daughter's approval, I asked if she would take $25 for the whole lot? Amazingly, she said yes and I quickly scooped up the clothes and dolls. But I had to suffer one more indignity before retreating to my truck. Out of the garage came "Driveway Dad". If you go to enough garage sales you've seen this guy. Usually sporting "bed hair" because his wife woke him up way too early, Driveway Dad buzzes around the garage sale on a caffeine high, cracking lame jokes like Shecky Green and just generally getting in everyone's way. This particular Driveway Dad spotted me with the Barbie dolls and started chuckling. Then he had to take his shot, "Oh, I see you bought some dolls for yourself!" Playing along, I shot back, " Sure, why can't guys collect Barbie dolls, right? " I gave "Driveway Dad" a wink and headed back to my truck knowing that with the help of eBay, I was going to have the last laugh! Once I arrived back at the "MoneyintheGarage" studios, I quickly took pictures and posted my vintage Barbie doll collection on eBay. Not wanting to mess around with smaller lot sales, a dress here, a doll there, I sold everything in one big lot. Would the strange looks and dumb wisecracks at my expense be worth it? Well, there were 270 reasons that it was definitely worth it! Yep....the Barbie dolls and clothes lot sold for a big, fat $270 dollars! How do you like me now, Driveway Dad?! Happy Saint Patrick's Day to one and all! They say that on Saint Paddy's Day everyone is a little bit Irish. McDude would add that on Saint Paddy's everyone has the chance to earn a few Irish "pounds" too! The weeks leading up to Saint Patrick's Day can be a great time to sell Irish themed clothing like sweaters, shirts and hats. The very green Izod Lacoste sweater seen on the right is a fine example. I found it tagged for $2.00 dollars at Goodwill. With Saint Paddy's Day a few short months away, I would have been crazy not to buy it. So I paid the two bucks and listed it right away on eBay. My huge two buck investment paid off. The Lascoste sweater sold for $20 dollars, earning me a nice little profit of $18 green dollars! But even when Saint Patrick's Day is approaching on the calendar, not every green sweater is a sure bet. A case in point is this Irish shamrock sweater. I bought this over a year ago at Goodwill, paying five bucks for it. It was made in Ireland by a company called Blarney Stone. You can't get more Irish then that, right? Saint Patrick's Day was about a month away when I bought it. Although I've since changed my opinion, at the time I was operating under the belief that ugly Christmas sweaters were big sellers on eBay. I concluded that since ugly Christmas sweaters sell well, so too would ugly Irish sweaters. With Saint Patrick's Day a month away, I confidently posted the sweater with a starting bid of $20 dollars. Despite the approaching holiday, the sweater didn't receive a single bid! Where's the luck of the Irish when you need it? You've heard the old expression about missing the train at the station? That's how it feels when you're stuck with an Irish themed sweater after Saint Patrick's Day. In my case, the train had left the station and I was left standing on the platform holding a useless sweater! Over the months that followed, I frowned disappointingly at the sweater as it hung in my inventory. In a few of my weaker moments, I actually considered donating it back to Goodwill! As you probably know, this is totally out of character for your McDude. Whether it's eBay, Craigslist or even my own garage sale, I try to wring a few bucks from every single item I have in inventory. I felt the same way about my under performing shamrock sweater. So despite missing the eBay train, I was determined to wait for Saint Patrick's Day to roll around again and give the sweater another shot! Fortunately, I didn't have to wait as long as originally thought. In January Ebay offered one of their free "fixed price" listing specials. These occasional specials come in handy when you're trying to clean out old inventory. I prefer using auctions for most of my items, but a fixed price listing gives you the chance to post it and forget about it for a month. (It doesn't hurt that the listing is free too.) In the case of my sweater, I was hoping to find a good Irishman who was planning his Saint Paddy's activities eight weeks ahead of time. I posted the sweater for $30 dollars; much higher then I thought it was worth. If there were no bids, I could always tweak the price down as the days passed. It turned out that no adjustment was necessary. Within a week's time my Irish sweater sold for the original asking price of $30 dollars! What a difference a year makes....from no bids to $30 big ones! Maybe the luck of the Irish is with me...it just took a little longer! Have you sold any ugly Irish sweaters or other Saint Paddy's Day themed items? Let us know in the comment section below and while you're at it...have a Happy Saint Patrick's Day too! Flipping houses, planes, scarves and Apple iPad boxes...all on a Saturday morning! A good takeoff to the garage sale season! Fortunately for the sake of our marriage we have no intention of flipping a house. Instead, we concentrate on things we can agree on, like garage sale picking! I found a few decent items at the "flippable" house, including a radio controlled airplane and it's related parts for $50 bucks. The seller was originally asking $100, but I talked him down from that high number. Since buying the plane and gear, I've posted some of the stuff on eBay. Currently the bids are hovering around the $60 dollar mark, so I should see some profits soon. I've always found that radio controlled planes, motors and related tools can make you some nice money. About two years ago, I blogged about a model airplane and parts that netted me a few hundred bucks on an original investment of $75 dollars. In my experience they're always worth buying when the price is right. See it at a party...buy it at a garage sale. Mrs. Dude scored a couple nice things too, like this Philadelphia Phillies baseball scarf. With baseball season starting soon, it was a timely score. Ironically, a week earlier my sister-in-law was wearing the same scarf at a family party. Mrs. Dude complimented her on the scarf and learned it was a Mother's Day giveaway at the Phillies ballpark last year. Lo and behold, Mrs. Dude finds the same scarf sitting in a pile of clothes at the house sale! She paid a whole dollar for the scarf! (I looked them up on eBay-they're selling for as much as $30.) After washing the scarf through the gentle cycle, it's now part of Mrs. Dude's extensive wardrobe ensemble. Funny how those things work out sometimes. You take note of something nice...then find it a yard sale shortly thereafter! You gotta love the garage sale Ying and Yang of it all! Mrs. Dude also found an empty Apple iPad box. You're probably asking, "Who cares about an empty iPad box?" Believe it or not, a lot of people actually do, including folks who own used computer stores and Apple fan boys and girls. Like most hotly sought after items, used Apple iPads and iPhones always sell for more money when they come in the original box. If you don't have a box-you can always buy one on eBay! To her credit, Mrs. Dude's retrieved the iPad box from a pile of junk in an upstairs bedroom. The seller charged us a quarter for it. Empty Apple boxes typically sell for ten bucks or more on eBay! Crazy, right? However, It's been pointed out by some readers that selling brand name boxes may be a violation of eBay policies. The policy doesn't appear to be strictly enforced. Checking recent listings, 22 empty iPad boxes were sold on eBay, some selling for as much as twenty dollars! If you want to sell a box, read eBay's policy and decide for yourself. So our trip to the dumpy house seemed like a good start to the 2013 garage sale season. Speaking of Mrs. Dude's finds, you may remember my blog piece about the lucky guy who found a vintage baseball photo inside a book purchased at a garage sale. His rare find ended up selling for $92,000 at an auction! After marveling over the story, I commented that I've never discovered a "find" hidden inside another item. But I later remembered that Mrs. Dude actually did! A few years ago, she bought an old purse at our local Saint Vincent's thrift store. She paid $5.00 for it. Once she got the purse home, Mrs. Dude began to search through the pockets. Inside one pocket she discovered something that's a huge collectible where I live....a 1977 beach tag from Ocean City NJ. Now in most parts of the country an old beach tag isn't worth a hill of beans. 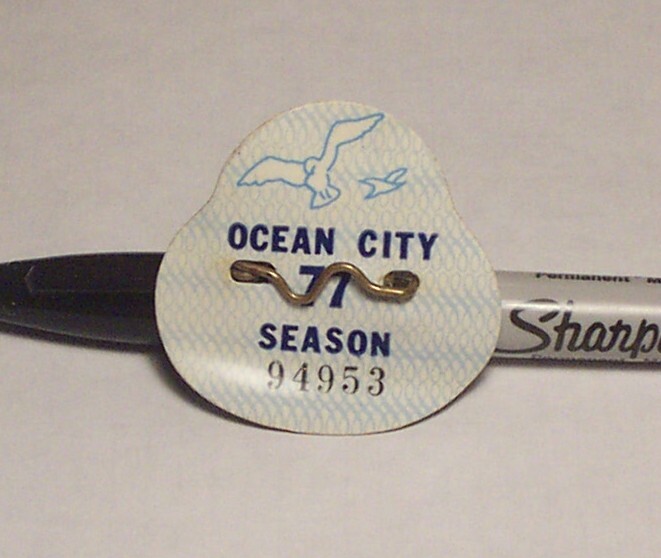 But around these parts, a vintage beach tag from Ocean City New Jersey is a highly sought after item rooted in our local "down the shore" culture. The story begins in 1976 when, for the first time ever, the shore town of Ocean City New Jersey required vacationers to buy "tags" for the privilege of sitting on the beach. Prior to that time, sitting on the beach was free. Long time-vacationers grudgingly bought the seasonal tags which, while a nuisance, only cost a few dollars. When the summer season came to an end, most people just threw the tags away. At the time, few folks thought these little tags would one day actually sell for big cash dollars. Fast forward to today and collectors go absolutely crazy for these old tags! Most collectors buy the tags in order to assemble complete sets spanning from 1976 to today. How much does a complete set sell for today? Amazingly, $500 dollars and climbing! Now that's an expensive trip to the beach! Turning trash into cash - a family tradition. Everyone loves a good trash picking story, so here's another one for you! In this case, it was my brother who made some nice money while I served only as an assistant during the deal. Although I am glad I helped him out, I have a sneaky feeling he'll be bragging about this flip at future family gatherings....a role normally reserved for me! Like me, my brother is not above picking the trash for a sweet deal. I guess it runs in the family. We had an uncle who was famous for his hard-core thriftiness, as well as his skills for trash and flea market picking. More then once when bragging to my brother about some ridiculously cheap deal I scored, I'll exclaim victoriously that Uncle (so and so) would be proud of me! In keeping with this thrifty genetic trait, a few years ago my brother was in his work truck when he spotted an older gentleman wheel a vintage Schwinn bike out to the trash. My Bro yelled over to the guy, asking if he was actually throwing the classic bike away? The old timer confirmed that he was. Naturally my Bro grabbed the bike, tossing it into the back of his truck. That trash grab occurred well over three years ago. Since then, the bike has sat in the corner of my brother's basement. This is where my Bro and I are different. I would have sold that bike within a few weeks, while my brother is quite happy stowing the thing away for a few years! At one point he was considering selling the bike at his own garage sale for only $20 bucks! This notion drove me insane! As we all know, yard sale pickers are like vultures when looking for a deal. I envisioned my ill-equipped brother buckling under the pressure of a professional yard sale shark and selling the bike for next to nothing! Since I knew it was worth much more, I pleaded with him to sell it on Craigslist instead. My impassioned arguments worked on him....sort of. In a compromise, my Bro stuck with his plan to sell the bike at his yard sale, but tagged the bike at a more appropriate $100 dollars. When it comes to yard sale sharks, you can imagine how that worked out. There were plenty of low-ball offers, but no sale. After the yard sale fiasco, the bike ended up back down in basement for the winter. Hanging out at his house recently, my Bro told me he wanted to try selling his salvaged bike again-this time on Craigslist. Since my brother's computer skills are comparable to a caveman, there's no chance the bike would ever make it to the internet without my help. I went to work, whipping out my cell phone and snapping a bunch of pictures of the bike. The only thing I required my Bro to do was set up his own Craigslist account. Despite his lack of computer skills, I hoped he could at least navigate his way through that process. While I could have posted the bike on my own account, doing so would have forced me to serve as a e-mail middleman, forwarding messages back and forth between my brother and potential buyers. Don't get me wrong, I am all about helping out family, but that's one hassle I didn't want to deal with. Fortunately, I didn't have to....my Bro figured out how to open a CL account of his own! He then gave me his account name and password and I went to town getting his old bike sold. 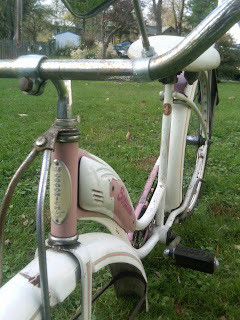 With a little research, I learned my Bro's Schwinn was from the Fifties. You didn't have to be a bike expert to see it was a girl's model-the pink color and lack of a cross bar was a dead giveaway. The bike was missing it's front tire, but considering it's age, condition was not too bad. Overall, this bike was a classic 1950's cruiser that would sell quickly. Although I might have advised to go higher, my Bro wanted $100 for the bike. He looked at it this way-he found the bike in the trash so any money he made was "found" money! I posted Bro's bike on CL on a Monday. Or at least I thought I did. Curiously, three days went by with no e-mails from buyers inquiring about the bike. Wondering what the problem was, I asked my Bro if he had clicked on the confirmation e-mail Craigslist sends prior to posting a listing? There was dead silence on the other end of the phone line followed by, "Whoops...I guess that's why I haven't heard from any buyers, huh?" As the old saying goes...you can lead a horse to water, but you can't make them drink...or click on a confirmation e-mail! After our conversation, Bro finally clicked on that e-mail from CL. Once he did that the flood gates opened! This past Saturday morning, I received an e-mail from him excitedly announcing he'd sold the bike. The amount? Exactly what he asked for.....one hundred dollars! Adding an extra cherry on top, the buyer spotted another bike rusting away in my brother's back yard. He agreed to buy that second bike for an additional ten bucks. All in all, my brother made $110 dollars...not bad for a trash pick! All of which proves once again, whether it's my brother, uncle or me.....trash into cash is a family tradition!